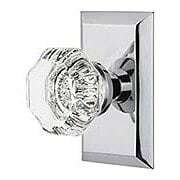 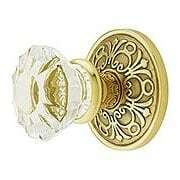 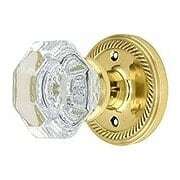 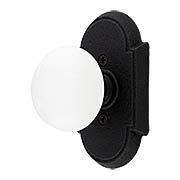 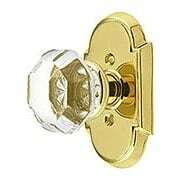 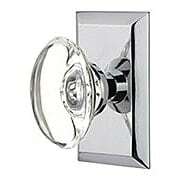 Rosette door knob sets bring a refined and timeless look to any home. 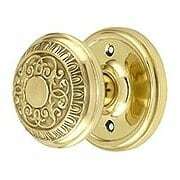 Paired with our period door knobs, our rosettes will provide the perfect accent to your doors. 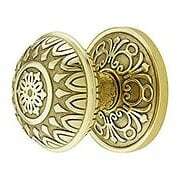 Available in solid brass and steel in a variety of finishes. 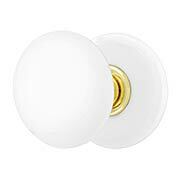 This charming interior door set features white porcelain rosettes and matching knobs. 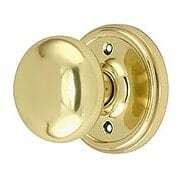 It has a forged brass collar and shank, which comes in 6 classic finishes. 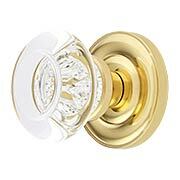 This elegant and understated door set features substantial, beveled back plates and round crystal knobs with an inset star. 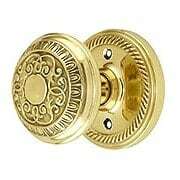 Made of premium forged brass, it comes in 7 classic finishes. 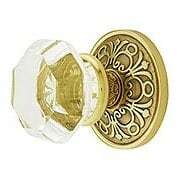 Generously sized arch-top rosettes are a fitting backdrop for these classic octagon glass knobs. 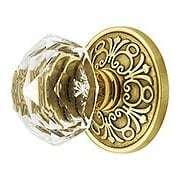 Made of perfectly clear lead crystal with a genuine silvered back, the knobs have an incredible brilliance that will make your doors shine. 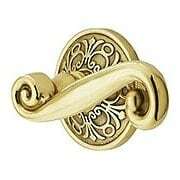 Top-quality forged brass and heavy duty mechanics provide you lasting beauty and smooth performance. 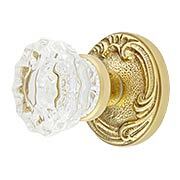 Timeless, understated, and ever-so refined, the classic pairing of octagonal crystal glass knobs and round rosettes is always a tasteful choice. 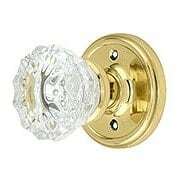 With an array of colors and popular finishes to choose from, every door in your house will shine! 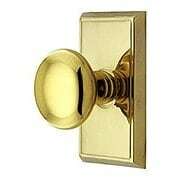 Finely crafted from solid forged brass, this handsome door set will provide a lifetime of quality and enjoyment. 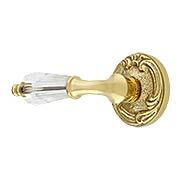 Our sparkling, fluted-glass knobs and crisp, beaded rosettes create a bright and cheerful ensemble that’s never out of style. 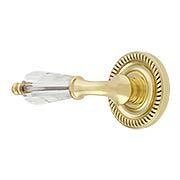 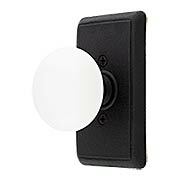 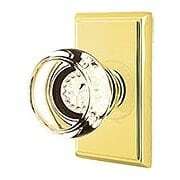 These modern reproduction knobs feature top-quality glass for extra clarity and a solid-brass shank, while the rosettes are beautifully crafted solid, forged brass. 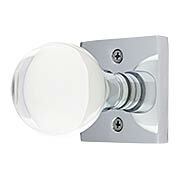 Available in five classic finishes, you’ll have plenty of options for every room in the house. 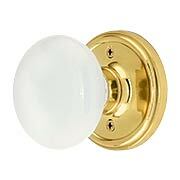 For use with both pre- and non-bored doors. 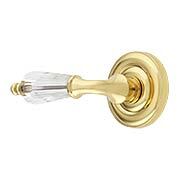 Stylish enough for a Golden Age movie set or a Bel Air pied-e-tere, this lovely French door set epitomizes Hollywood Regency style. 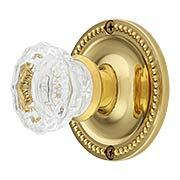 The dazzling crystal knobs and Rococo-style rosettes will add a distinctly glamorous appeal to any door. 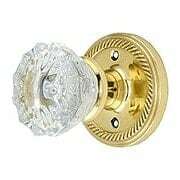 Finely crafted of cast brass and 24% lead crystal. 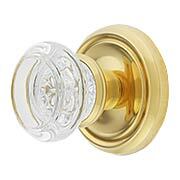 This sleek modern interior door set features square rosettes and clear, round crystal knobs. 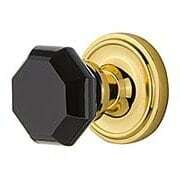 Made of premium forged brass, it comes in 4 classic finishes.